Kaely: Hello Poppers! Welcome to another chat blog review! In this entry we will be talking about the Oscar nominations for Best Animated Picture. Joining me as always is Lulubell. Lulubell: Hello! 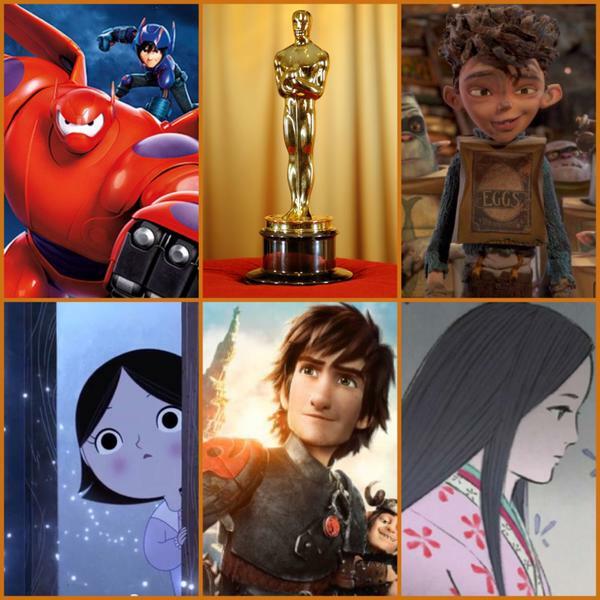 The nominees this year are: Big Hero 6, How to Train Your Dragon, The Boxtrolls, Song of the Sea, and The Tale of Princess Kaguya. Kaely: Besides Best Picture, I’ve always been interested in the Animation category for three reasons-- 1. Some of the best films of the year are arguably animated ones. Story means something in animation. If the story isn’t strong then the whole thing fails. 2. Animation is artful -- you can do things in animation that just aren’t possible in live action. 3. I’m still a big kid at heart, and I just love watching cartoons! Lulubell: I completely agree. Some of the best films I’ve ever watched are animated. All of the Studio Ghibli films are some of my favorite. Those are all very well done Anime films. And the one thing those films have that other live action films don’t is story. Story is the most important part for me as well and they have a way of creating characters, setting and story that is unlike any other films.